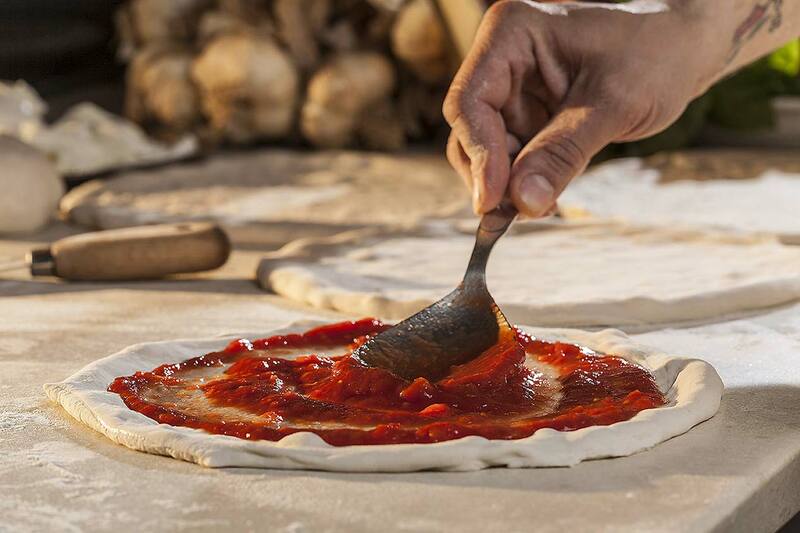 The International Regulation is a set of codified rules, orally transmitted by neapolitan’s generation of pizzamaker, passed down from father to son. In 1984 Antonio Pace and Lello Surace reunited the most important and famous pizzamaker of the time to write down the fundamental rules in order to recognize and differentiate the True Neapolitan Pizza from the other type of pizza, giving it the maximum dignity. Since then, the International Regulation has been the heart of the Associazione Verace Pizza Napoletana, which protect the tradition of this old recipe and spead its secrets, defending its uniqueness and peculiarity. 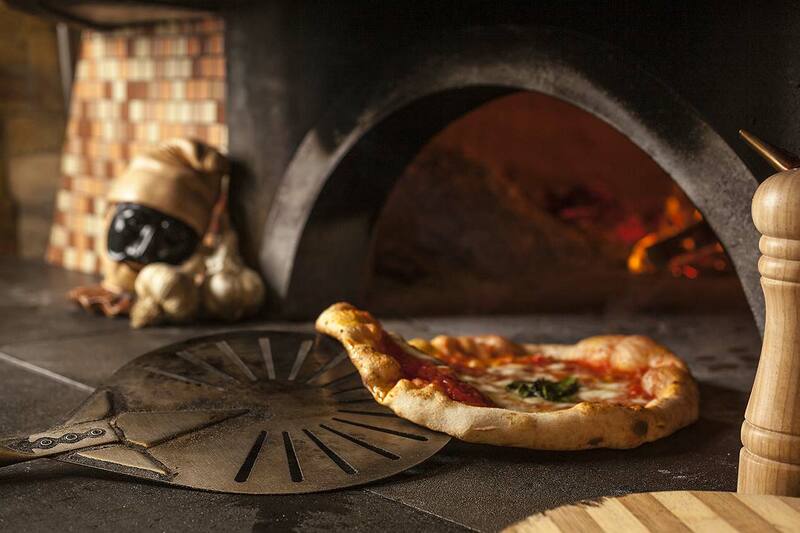 How to prepare the True Neapolitan Pizza? Finally we have the original repice written down by old generation of pizzamaker. 3. The Neapolitan pizza must be soft and elastic. Now let's move on and analyze the ingredients to prepare the True neapolian pizza's dough. Blend flour, water, salt and yeast. Pour a litre of water into a mixer, dissolve between 50 and 55g of salt, add 10% of the total amount of flour, then add 3g of years. Start the mixer, gradually add the rest of the flour (W 220-380) until the desider dough consistency is achieved (optimal point of the dough). This operation should takes 10minutes. 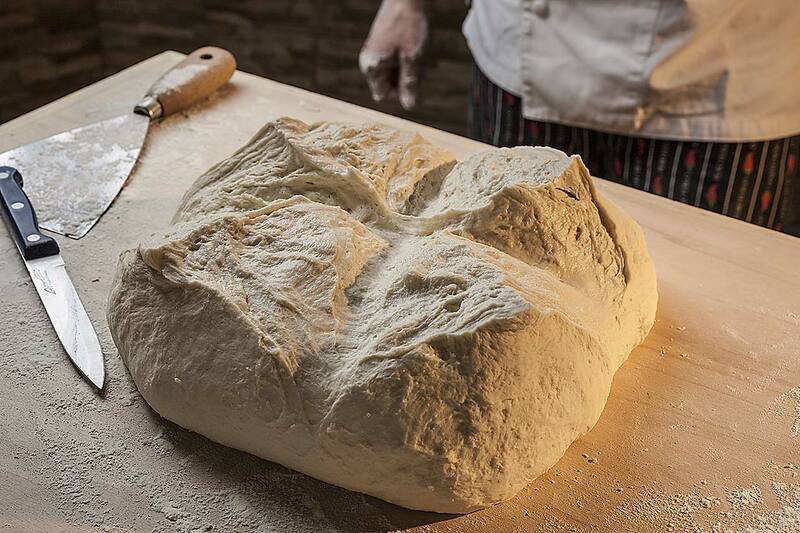 Mix the dough at low speed for 20 minutes. Now it’s time for the first leavening (about 2hours), followed by the technique, known as “staglio a mano” that means making a dough ball (panetto) that must weigh between 180 and 250g. 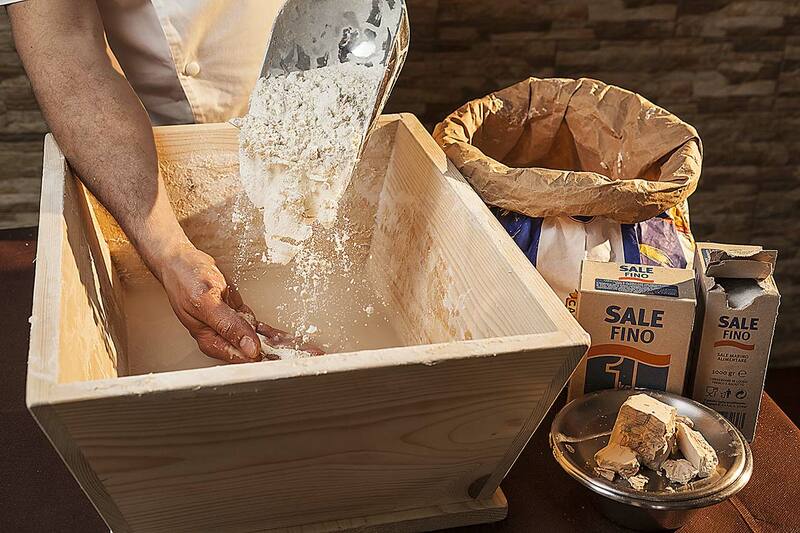 Once the “panetto” is formed, leave it in a “rising box” for the second leavening, which lasts 6hours at a temperature of 25C°. Following the second rising, we can finally roll our pizza with a motion from the centre outwards, and press with the fingers of both hands. 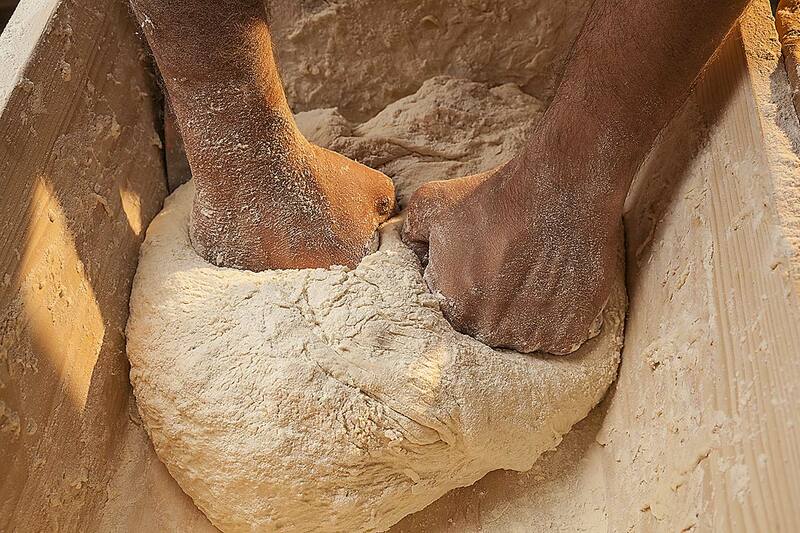 The base must be prepared by hand. The use of rolling pin and mechanical presses are not allowed. 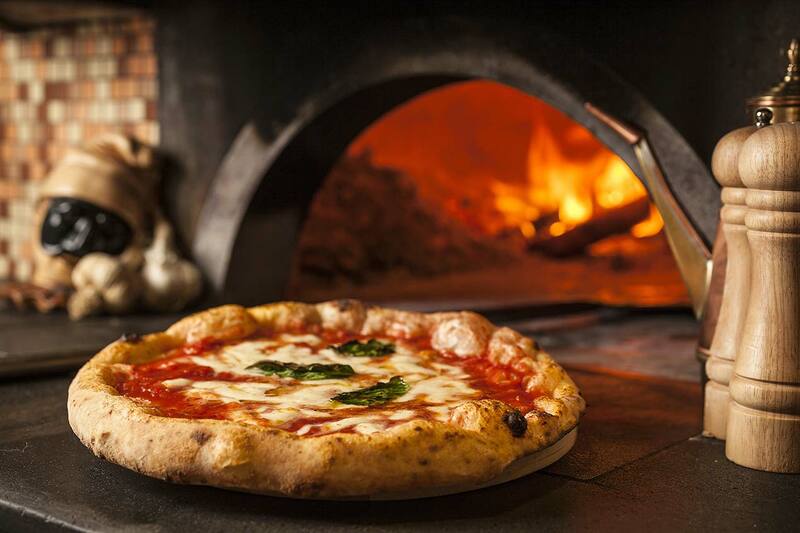 The true Neapolitan pizza must be garnished with ingredients from Campania regions. The oil used must be the extra virgin oil, and it’s possible to choose between mozzarella and fiordilatte DOP. 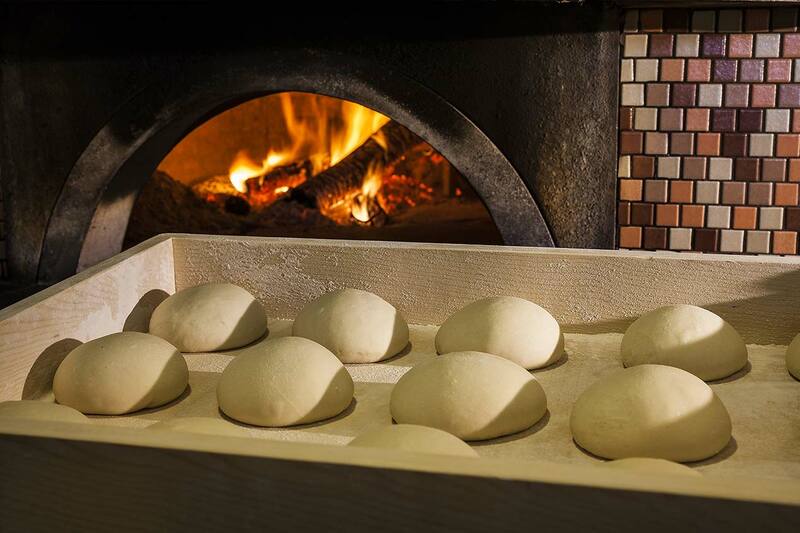 The cooking must be done exclusively in a wood-fired oven, which has reached a temperature between 430-480C°. With these temperatures, just insert the pizza for 60-90 seconds. The pizza will cook evenly across the entire circumference. Here we have our neapolitan pizza, beware of imitations and enjoy your pizza!